My name is Teemu Hörkkö and I am a 26.9-year-old game developer/programmer/technology enthusiast. I've worked at Frozenbyte Oy since August 2016 as an engine, console and gameplay programmer. I graduated from Kajaani University of Applied Sciences with a BBA in information technology and specifically game and game engine programming in December 2014. My thesis was on component-based object management in game development. It can be read on Theseus (in Finnish with an abstract written in English). Programming has been my hobby since I was 9 years old when I wanted to start making games myself. I began with QuickBasic and progressed through web development languages and CoolBasic trying to make some games along the way. During my free time I like to also play video games, listen to music, playing piano and sometimes composing music. Occasionally I may read some books. 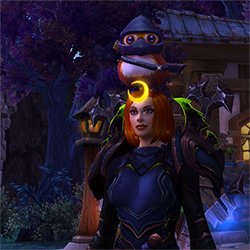 I've played World of Warcraft on and off and made a few addons for it too. Check them out! If you wish to throw me a message I can be contacted via email. I am moderately experienced in C++ and in fact most of the games listed in the games section are programmed in it. I am also quite familiar with different web development languages and technologies though lately I find myself disliking what web development has become. Below I have a more specific list of different languages, technologies and software I know or am familiar with. My experience on this platform is mostly related to network programming and implementing secure communication via sockets and online matchmaking for multiplayer gameplay. Additionally I've implemented some other engine functionality like MP4 video playback. Working with this platform is quite pleasant. I was part of our initial efforts to port Has-Been Heroes to the platform and implemented some general low level stuff like platform configuration, file management, controller support for JoyCons including the HD rumble to list a few things. Most recently I've also worked to implement the network communication for online and local wireless multiplayer in Nine Parchments. It has been a rather large undertaking and I've learned a lot. Here I have listed all of the games that I've been working on as a programmer. Prince Selius suffers from intensely dark dreams and, due to his magical talents, monstrous nightmares are able to slip into reality and wreak havoc on the waking world. Amadeus, Pontius, and Zoya must find the afflicted prince and resolve the desperate situation before the world is engulfed by the Nightmare Prince’s shadows. Trine 4 is my first foray into a more gameplay oriented programming work. Instead of focusing on the lower level nitty-gritty I wanted to have a chance to bring something on the screen that's more visible than just network connection error popups (see Nine Parchments below). Primarily I've worked on a lot of general gameplay stuff without specializing into any particular area. However, to list a few gameplay features I've been implementing: gameplay effects support and triggers, finalized puzzle implementations, a few physics features like linear velocity drive and rotational drive entities for moving objects, pulley systems and some general behind the scenes improvements. 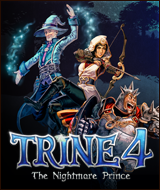 Trine 4 is a trademark or a registered trademark of Frozenbyte. Art and logo copyright © Frozenbyte 2019. Nine Parchments is the second shipped game during my employment at Frozenbyte and being a larger game comparatively it has been a lot of work. My work on this game has primarily been bringing our in house engine up to speed with the required network programming for online multiplayer on both the Microsoft Xbox One and Nintendo Switch. On Nintendo Switch I was working on the controllers again, adding the support for single JoyCon controls. 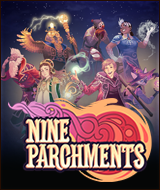 Nine Parchments is a trademark or a registered trademark of Frozenbyte. Art and logo copyright © Frozenbyte 2016-2017. Embark on an epic journey with the Has-Been Heroes, a group of legendary champions once celebrated throughout the kingdom – almost forgotten until the King has one more quest, the most epic of them all: TO TAKE THE TWIN PRINCESSES TO SCHOOL! For Has-Been Heroes I mostly worked doing lower level engine stuff. Most of my work related to this game specifically was console porting to the Nintendo Switch including project setup, implementing engine features like inputs, and in particular the new HD rumble system. Frozenbyte uses an in-house built engine programmed in C++. This being my first shipped game during my employment a lot of my time during the project was also spent learning how to program in the engine and how to use the editor. 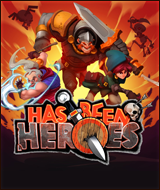 Has-Been Heroes is a trademark or a registered trademark of Frozenbyte. Art and logo copyright © Frozenbyte 2016-2017. Projects listed below are my own and/or independent productions. They aren't related to my work at Frozenbyte. I was a programmer in all of the projects listed and for some of them I also did some other tasks which are mentioned in the descriptions. 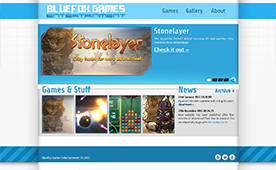 Videos, screenshots and downloads are available on Bluefox Games website. There are more games than this but they are a lot older and more crude projects created with CoolBasic for Windows only. If you're interested download here (70 MB zip). Is being evil hard work? Scyori does it for a living and now you can have a go at it too. 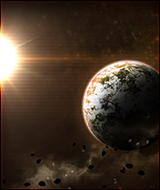 There is a space station in the fringes of space that for some reason needs to be blown to pieces along with everyone on it. To make that a reality you have plasma guns and stuff. 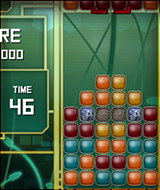 The game is a spiritual successor of Pyxenos featuring similar mechanics and graphical style. Due to a lack of time the game project didn't quite reach the intended goal of multiple boss fights and challenging combat. Think of it more as a proof of concept. I made this whole game alone. For it I created a new engine in C++ with SFML and Box2D with the intention of improving a design I used for my previous projects having gained experience from them. I also made the graphics and the music. Game took part in the Assembly Summer 2013 gamedev compo where it finished on 10th place. An intended sequel to Protect Anubis. Game has been programmed almost completely in C++ apart from the required Java code necessary for an Android application. Our self made engine utilizes OpenGL ES 1.1 to draw stuff on screen. Audio playback is implemented using Android's own SoundPool and MusicPlayer classes with binds between Java and C++ code. Uses Box2D for physics. Unfortunately the project was not finished due to time constraints and is on an indefinite hold or in other words, practically cancelled. Taking advantage of our already mostly usable game engine for Blogic we created this game in C++. Our goal was to make a challenging and cool looking arena shooter to participate in the Assembly Summer 2012 gamedev compo where it finished on the 5th place. For this project I also created all graphics and the music used in the game. Blogic is an arcade puzzle game where your goal is to destroy blocks by dropping them from up top to combine them into groups of four or more. Arcade-mode gives you limited time to destroy a certain amount of blocks and Puzzle-mode unlimited time but with limited amount of moves. 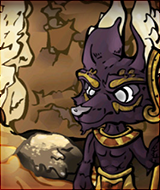 The Empire of Rome has attacked the God of the Dead, Anubis, and you must protect him from the legion's relentless assault in this physics based game. Place blocks of solid rock between the romans and Anubis in order to deflect the projectiles and save the world from certain doom. 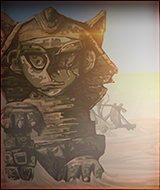 Protect Anubis was the first mobile game I've created. 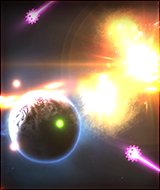 It was programmed in C# using XNA framework and Farseer physics for Windows Phone 7. 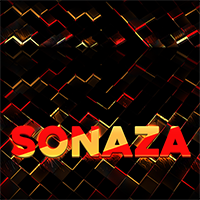 Below I have listed a few websites that I have created either for myself or as paid work. They are listed in order from newest to oldest. A comprehensive Bible study website for the Adventist church. Users can register to complete courses and tests. Includes a full admin panel for creating the courses and with minor content management systems for adding miscellaneous content pages and managing files. Made with Laravel and AngularJS. Another school website. I created a slightly more advanced content management system than previously using a combination of Laravel and AngularJS. Main site layout was done in co-operation with other people but I made all the backend stuff including admin panel. Websites for my game development house to serve as portal for the distribution of games we have made and news about possible upcoming titles and releases. 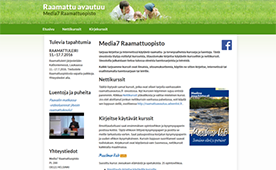 I created the layout and the content management system (CMS) myself for this website. The goal was that the school can update the site themselves. CMS admin panel has a simple WYSIWYG-editor and page management panel. 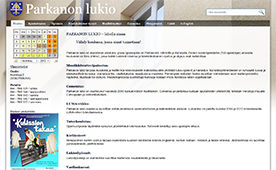 Netpal Oy employed me to create this sort of a local youtube for city of Parkano, Finland. Videos of local events and other happenings would be added and users would also able to upload their own videos. In addition to the website I have done some graphics and video editing for Netpal. However, the site has since been discontinued. Note: Playback on website requires a modern web browser that supports mp3 or ogg audio files. Downloadable files are in mp3 format. Here I have some more mostly older tracks and pieces. Game soundtrack for the game Scyori. Game soundtrack for the game Pyxenos. Played by me. Piano sheets available here. Remake version of an older track that can be found on my Mikseri page. It's still technically work in progress even though I haven't done work on it in a long time. In addition to the music above I have some original compositions for which I have created piano sheets in PDF format. Links to downloads below.